LOS ANGELES, Sept. 12, 2018 /PRNewswire/ — Sprint (NYSE: S) is bringing more magic and speed to its award-winning line of all-wireless small cells with the introduction of the Sprint Magic Box Generation 3. The latest edition of this growing product family of plug-and-play units offers speeds that are up to 25 percent faster than the previous model, with an even quicker start-up process. The smaller footprint and improved antenna provides customers more location flexibility without the need to place the device directly in a window. 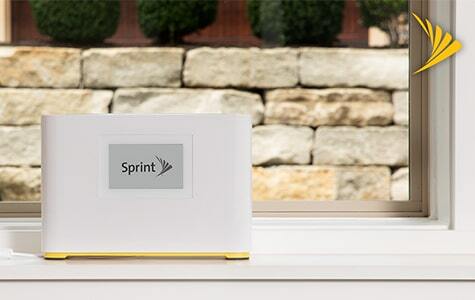 This next-generation Sprint Magic Box will be available later this year. The newest Sprint Magic Box is a free-standing unit that dramatically improves data coverage and increases download speeds on average by 250 percent to provide nearby Sprint customers a better data and customer experience overall. The LTE Advanced-capable device uses 4×4 MIMO, higher order modulation (256QAM) and three-carrier aggregation within Sprint’s licensed spectrum for a reliable, sustainable experience. A single device covers an average-sized small business, extends data coverage to benefit Sprint customers in nearby buildings, and improves street-level network performance. Sprint Magic Box is designed specifically for public spaces and businesses that receive a lot of commercial traffic such as coffee shops, parks and libraries. Like its predecessor, the new Sprint Magic Box was manufactured by Airspan Networks and is easily installed by the customer in a matter of minutes, automatically connecting to a nearby Sprint cell site. The new unit also includes Wi-Fi backhaul so the device can work using a Wi-Fi connection if wireless coverage is not available. Sprint Magic Box has a color screen that clearly displays key information, two USB ports for charging devices, and an Ethernet port for future support of network devices. Sprint Magic Box is part of the company’s major investment to building its Next-Gen Network to give Sprint customers an even better 4G LTE network and launch mobile 5G in the first half of next year. The efforts include deploying more outdoor and indoor small cells – including Sprint Magic Boxes – to help densify or “fill in” the network, along with building new sites and upgrading existing ones to use Sprint’s three spectrum bands. The popularity of Sprint’s evolving suite of Magic Box products is evident. More than 260,000 Magic Boxes have been distributed to businesses and homes in more than 200 cities since the device first launched in May 2017. That represents one of the largest small cell deployments in the world. In fact, the company recently launched Sprint Magic Box for Hospitality Edition designed specifically for hotels and hospitality venues. Sprint has received multiple awards for this innovation including a 2018 Global Mobile Award for Best Mobile Technology Breakthrough. The all-new Sprint Magic Box will be on display at Mobile World Congress America (Sept. 12-14) in the Sprint booth located at Los Angeles Convention Center South Hall (Stand S.1702). For more information visit https://business.sprint.com/magic-box/. Signal and speeds based on optimal conditions for most Sprint devices.